I am both exhausted and excited ! 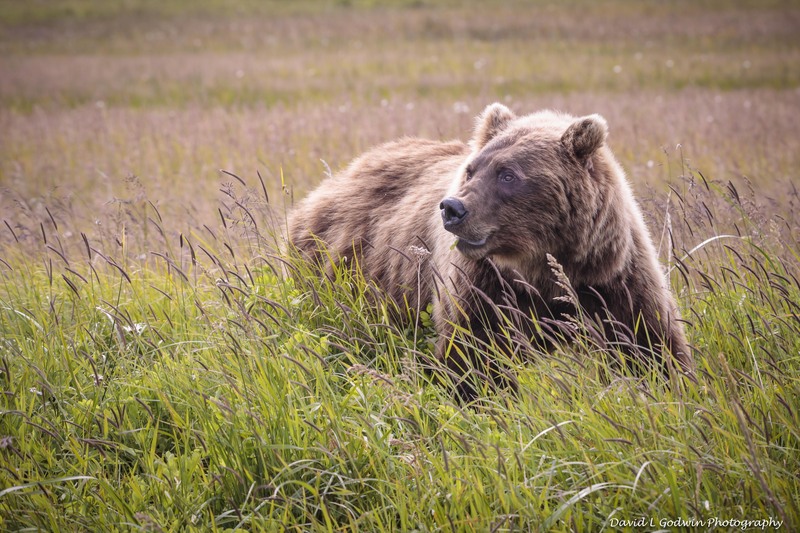 Just a short while go I returned from a trip to Clark Lake National Park in Alaska where I photographed grizzly bears. Last week I flew to Anchorage and took a bush plane flight another hour and a half to the Silver Salmon Creek Lodge. The lodge sits on the waters edge between the Cook Inlet and the Clark Lake National Park. The park covers over 4 million acres and is larger than Yellowstone national park. The park was established in December of 1980 and there are NO roads in and out of the area. The only way in is by boat or small single engine aircraft. 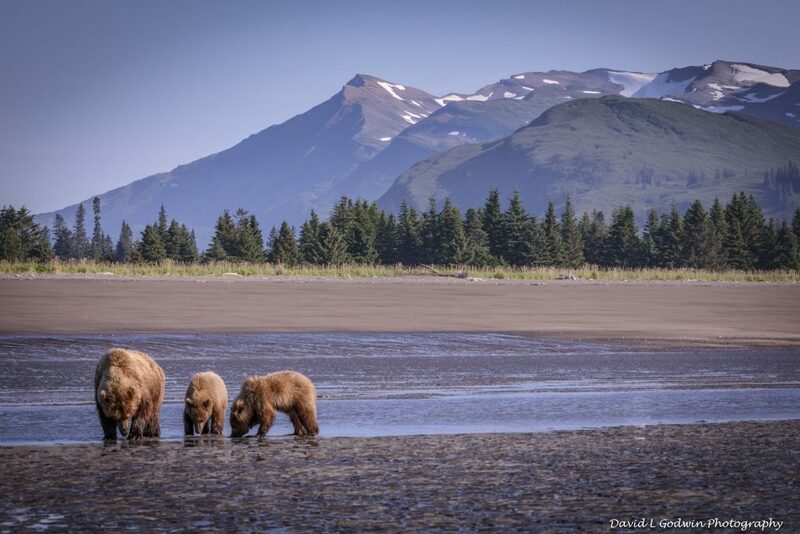 The grounds around the the Silver Salmon lodge are home to 20+ grizzly bears including both adults and juveniles. They spend their time searching for food which includes various grasses, clams, berries and salmon. The Cook Inlet has one of the highest tidal ranges in the world and while we were there the high tide range was 21 feet plus. That is a huge tide and it dominates the life cycle and feeding habits of all the animals that live there. This was an recognized photographic workshop into the wilds of Alaska led by world renown photographers Thomas Mangelsen and Bob Smith. They led a group of 10 photographers on a 5 day exploration of this beautiful and wild area. We got up close and personal with these grizzly bears and at times we were less than 20 feet away from these magnificent animals. I hope you enjoy these images I will share with you. I am extremely proud of this work and over the next week I will share some of my favorite images and comments from this fantastic trip.